Equipment (weapons, shields, tools, outfits, mounts), abilities acquired and available ability points, crafting status, player level, XP, and inventory (crafting materials, arrows, tools, animal goods, trinkets) will all carry over into NG+. In addition, the game’s difficulty will increase by one level with each new game plus; for instance, normal becomes hard, hard becomes nightmare, and nightmare…remains a nightmare. Ubisoft also confirmed that there will be a “unique reward” for players who complete the game in NG+, although that reward is going to be a surprise. 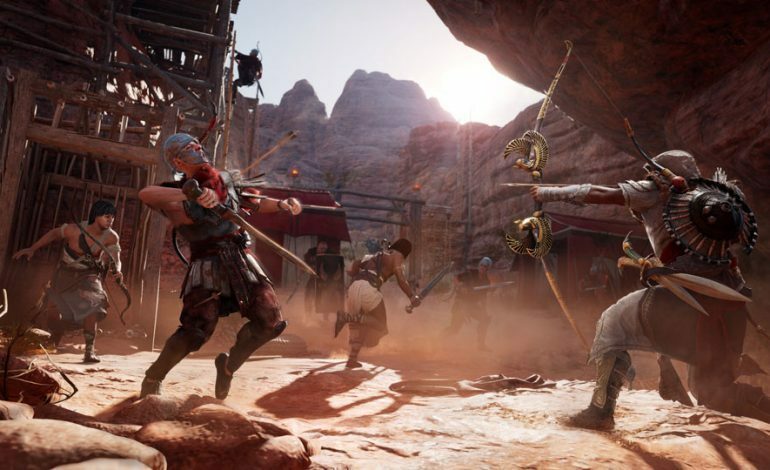 NG+ launches concurrently with the Origins Discovery Tour mode, which Ubisoft announced last September. Assassin’s Creed Origins is available now for PC, Xbox One, and PlayStation 4.